I took resolution to sleep early after completing my college. Though I met my love when I was in college and we used to talk for hours in night (and we still *smiles*). The dark lady cursed me with dark circles for being a night owl and not keeping my resolution. Though they are minor but I really hate them! 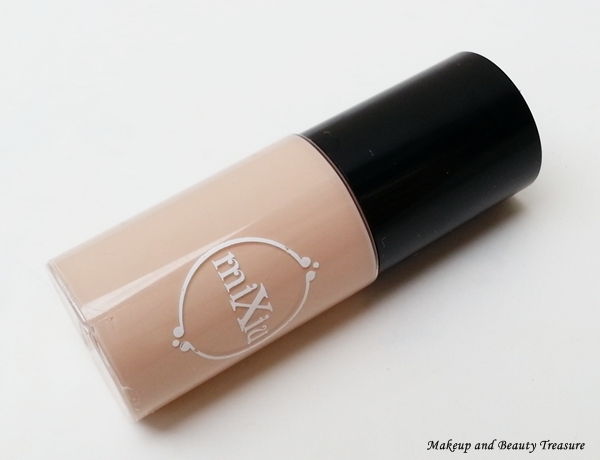 Recently while browsing Born Pretty Store I came across this mini concealer* that comes in 2 shades. It is priced at $3.48 and you can buy online HERE. It is currently out of stock and I hope it will be in stock soon! Use the Born Pretty Store discount coupon code MEGW10 to get 10% off on your order! The concealer comes in a super tiny plastic bottle with screw top lid. I was actually disappointed to see such a tiny bottle but believe me it lasts really long as a small amount is needed each time. It comes in two shades- #1 and #2. I got #2 which is warm pink toned color. I have fair skin with yellow undertones and I was skeptical to use it as light shades make me look like a ghost. The sponge applicator makes the application very easy. You simply need to dot the concealer under eyes and pat it using your ring finger. 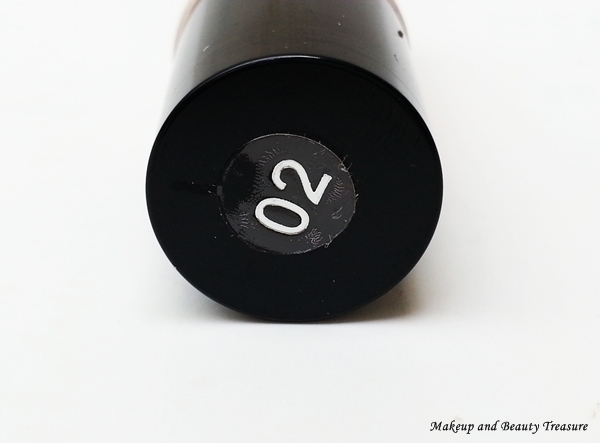 The formula of the concealer is very creamy and blends easily without caking. It has light to medium coverage. It hides my minor dark circles well but if you have really dark ones then you would need to layer it up! It has lovely sheen to it that makes my under eyes skin brighter and lighter. I tried using it on my blemishes and acne and it covers redness but it did not hide them much. I particularly love using my foundation for covering up blemishes, acne and pimples! 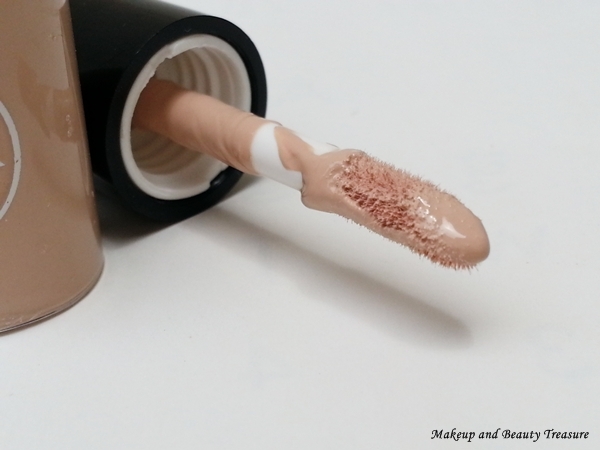 The concealer is quite moisturizing and it will suit all skin types. I have dry skin around my area and I love how moisturizing it feels after concealing. Since the concealer is a light shade, I use it as highlighter at day time and I love how lovely and healthy my skin looks! • Comes sealed so you know you are getting the fresh product. • Easy to apply and blend. • Has a sheen to it that makes under eye area brighter. • Covers dark circles and redness well. • It stays put on my skin for a long time. Make sure to set it up with powder! • Can be used as highlighter! • Born Pretty Store provides International Shipping! • The shade was light for me but it worked well for my under eye area and as highlighter! • Coverage is light to medium so if you have major dark circles then you might not like it. It does not cover up blemishes well! 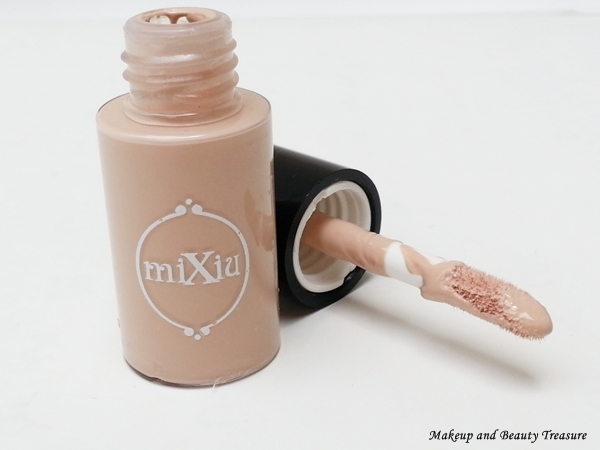 Born Pretty Store Mixiu Mini Concealer is a lightweight and moisturizing concealer that conceals dark circles well. It brightens up eye area beautifully and has light to medium coverage. Though it looks small but it definitely lasts long. If you love natural coverage then I would happily recommend it to you! • Apply gently with a patting motion using your ring finger. • Set it with a powder to make it last long. Did you find this concealer interesting? Will you purchase it?